With the two top world leaders supporting Jewish right to Jerusalem, Sanhedrin asks that they build Third Temple. Eyeing what appears to be a twice-in-history opportunity, the organization called the Sanhedrin has called on U.S. president-elect Donald Trump and Russian President Vladimir Putin to join forces and back the rebuilding of the Jewish Temple in Jerusalem. The Sanhedrin is an attempt to renew the glorious Great Court of the same name from the last Jewish kingdom, some 2,000 years ago. He said that the election of Donald Trump, who has promised to recognize Jerusalem as the capital of Israel, coupled with Putin’s expressed desire for the Temple's rebuilding, prompted the Sanhedrin to send a letter to both leaders. The letter proposes that they act jointly as did King Cyrus of Persia 2,500 years ago and show most practically that they recognize the importance of Israel and the Holy Temple. 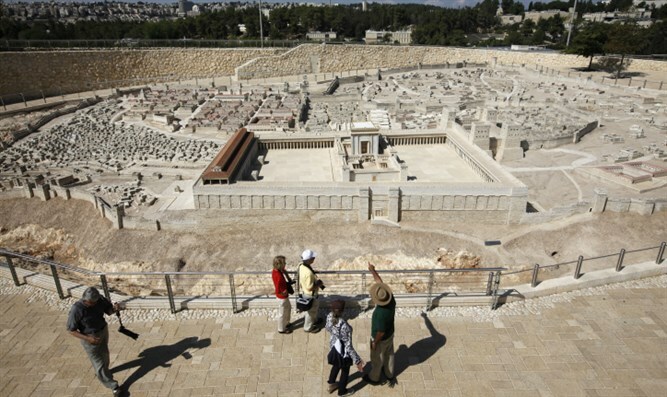 “We are poised to rebuild the Temple," Weiss said. Trump's support for Israel, and for the relocation of the U.S. Embassy to Jerusalem, is well-known, and many of his close aides are similarly strong supporters of Israel. The Sanhedrin sent a letter at the time to Putin, calling on him to act to fulfill his prayer. President Putin did not respond, but the Sanhedrin hopes he will respond to the current letter, now that he has a potential ally for the project in the United States leadership. Basing himself on Biblical passages and Rabbinic tradition, Rabbi Weiss explained that “the leaders of Russia and America can lead the nations of the world to global peace through building the Temple, the source of peace.” Supporting the Jewish claim to Jerusalem would bring benefit Russia and America, as well as the entire world, he said.